These resources have been compiled to enable participants to create impactful and informed products. In order to use Iodine's API, challenge participants must register before 7/20. Access will be processed in batch. 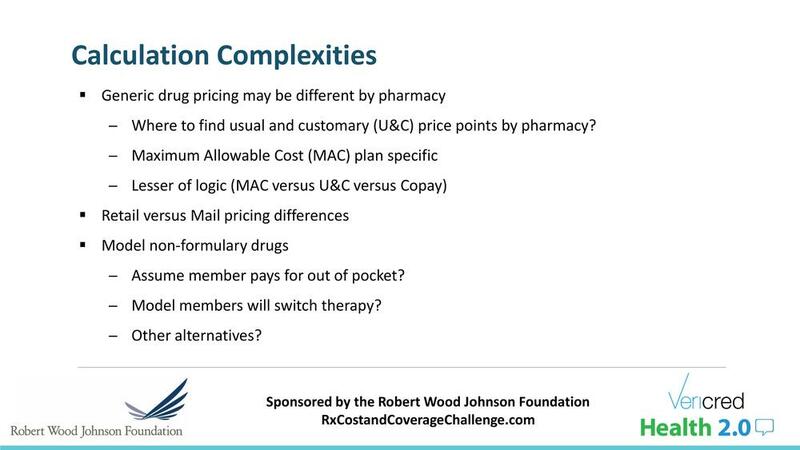 Under purpose, please write "Rx Cost and Coverage Challenge"
Submit any questions regarding the calculating member cost or specifically for Jason Gomberg. Our team including Jason Gomberg will work to provide a prompt answer. Is there a list of prescription costs per health plan available? The baseline amount upon which each private plan calculates out-of-pocket costs is not readily accessible to the public. Part of the challenge is finding a way around this data gap. Can my solution focus on Medicare Part D? No, the focus of this challenge is to help consumers shopping for private health insurance plans. Is using formulary information itself part of the challenge? Yes, each solution should incorporate formulary data.